Massachusetts voters legalized adult recreational cannabis via a ballot initiative vote in November of 2016. The state had already taken steps back in 2008 to decriminalize small amounts of cannabis for personal use. As of December of 2016, though adults in the state of Massachusetts possessing less than 1 oz of cannabis in public or 10 oz of cannabis in their home we’re officially abiding by the law. The initiative in which voters passed in 2016 also allowed for the creation of cannabis dispensaries to serve the needs of adult consumers in the state. To date, however, none have opened. This could change however in the coming days. Like with every other state that has chosen to legalize cannabis it has taken time to do so. It has taken time for businesses to obtain all the approvals that are required for them to open shop. Entrepreneurs looking to open dispensaries in the state of Massachusetts don’t just have to obtain licensing and approval by the state. They also have to come to an agreement with their local governments before the state will review their applications. As of September 6th, there were over 2,500 pending applications for various types of cannabis businesses hoping to open their doors to the new commercial market in the state. On September 20th there will be a Cannabis Control Commission hearing in which the first licenses may be approved. On this date, the commission, which is the state’s cannabis authority, will review the applications of businesses that have passed certain aspects. Aspects such as physical site inspections as well as staff fingerprinting. If businesses that have passed these aspects receive approval on Sept. 20th, they could technically open their doors the next day. That is if they have met all other requirements including submitting their business license fee. If no businesses receive approval during this meeting of the Cannabis Control Commission, the next hopeful date will be Oct 4th. What is Legal for Cannabis Consumers in Massachusetts? We know that Massachusetts has legalized cannabis and that dispensaries may soon open their doors, but what is and isn’t legal? Here is a breakdown of what is and isn’t allowed for adult cannabis consumers in the state. This is based upon the text of the approved ballot initiative passed in 2016. What can be purchased and by who? 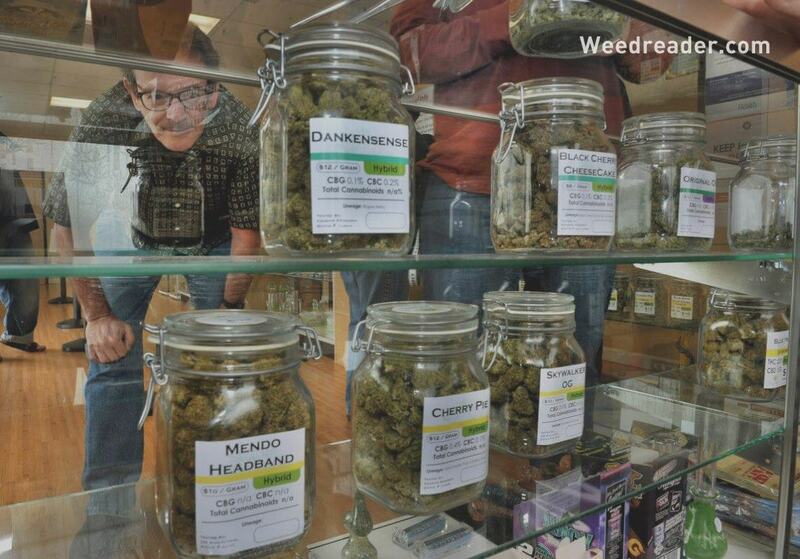 Adults over the age of 21 are allowed to purchase 1 ounce of cannabis. Alternately they can chose 5 grams of cannabis concentrates, or an equivalent combination of the two. This is the limit per day from licensed and state-regulated recreational cannabis dispensaries. Adults over the age of 21 will not be permitted to enter a medical cannabis dispensary without proof of a medical marijuana card upon entry. How much cannabis can be legally possessed by adults over the age of 21 in the state? Adults are able to legally travel with up to 1 ounce of cannabis in flower form, 5 grams of cannabis concentrates, or equivalence of the two within the state as long as it is not visible in the vehicle. In the privacy of their own homes, adults can possess up to 10 ounces of cannabis (or more) if the crop is from plants they cultivated at the residence. Can adults obtain cannabis from friends legally? Yes, as long as no money or services are provided in return. Are adult consumers allowed to grow their own stash? Yes. The initiative passed by voters allow for adults to grow up to 6 cannabis plants per adult residing at the residence. There is, however, a cap of 12 plants per household. Where will dispensaries be located? According to most reports, we can expect to see recreational dispensaries open in the following cities; Leicester, Northampton, Easthampton, Amesbury, Brookline, Salem, Fall River, Wareham, Plymouth, Lowell, and Greenfield. It is expected that a few others may receive approval in outlying areas as well. Where can cannabis be consumed legally in the state? Cannabis, unlike harmful and deadly cigarettes, can only be consumed in a few places. Parks and public areas are out of the question along with smoking in your car. If you live in the state or are visiting, you can legally consume in a private residence. That is if the home is owned by the occupants or consumption is approved by the landlord. Cannabis will also be able to be consumed at some private clubs and in some rental properties. Consumption on properties such as AirBnBs and hotels will be up to the owner/operators discretion. Can cannabis that is legally purchased at a dispensary be taken out of state? Absolutely not. Despite that it was legally obtained, any cannabis found in possession of someone outside of the state will still subject said individuals to the laws in the state in which they are found in possession of the product. While it may have taken the state nearly 2 years, it is very exciting to see that we could be just a few short days away from seeing Massachusetts make history. And by making history, I mean by opening the doors to the states very first recreational cannabis dispensaries!